Zahn, Kultur und Magie Terry, Douglas A. In the modern world, new information is constantly being produced that affects patient treatment, and clinicians need the skills to evaluate and apply pertinent information to their practice. 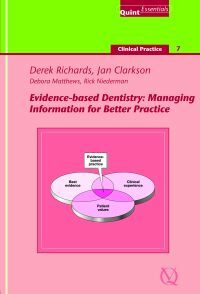 This book outlines the key concepts of evidence-based dentistry and illustrates the process from analysis to implementation using relevant clinical examples.